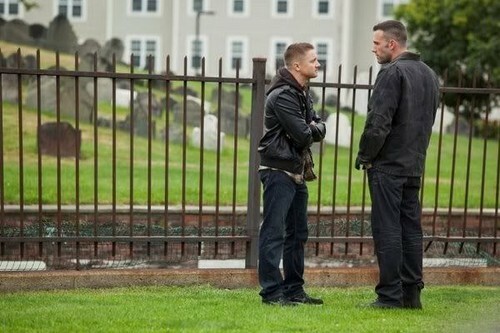 The Town. . Wallpaper and background images in the Jeremy Renner club tagged: jeremy renner movie. This Jeremy Renner photo contains business suit, penal institution, penal facility, and chainlink fence. There might also be palisade, holding cell, jail, jailhouse, gaol, clink, slammer, poky, and pokey.